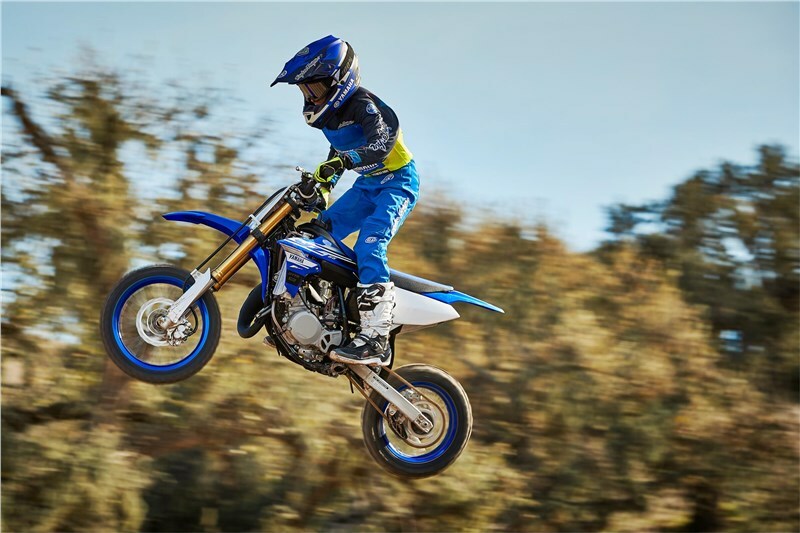 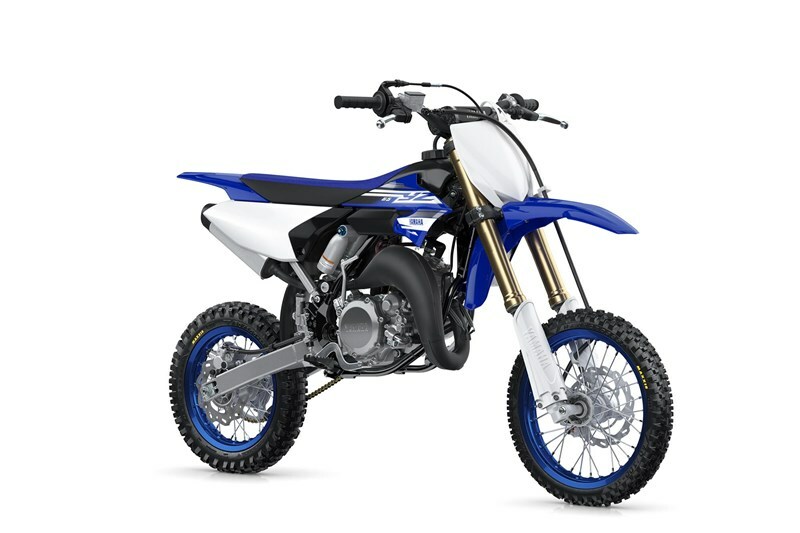 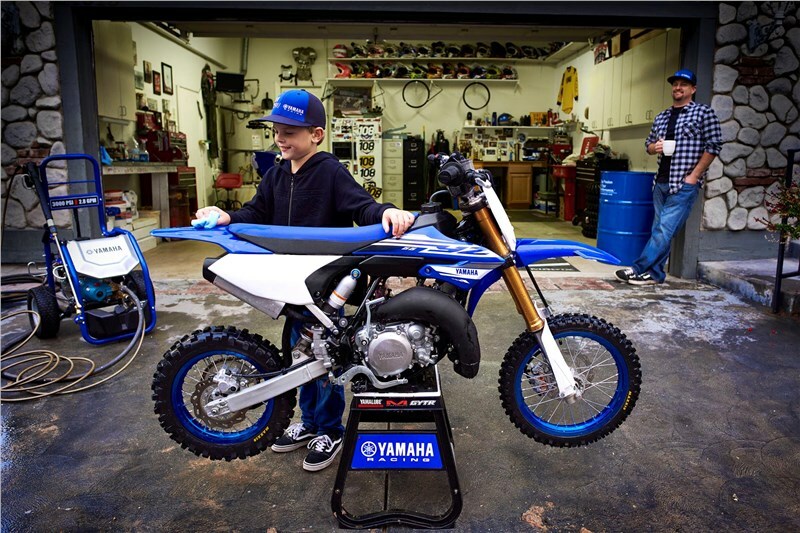 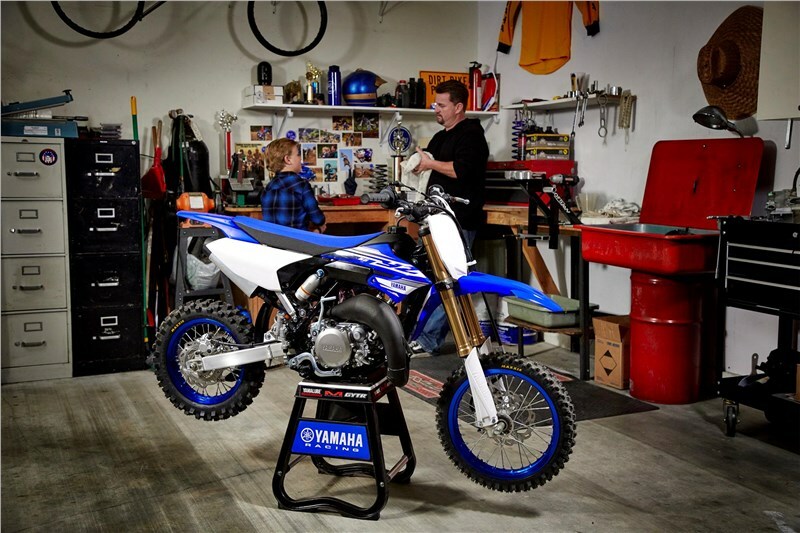 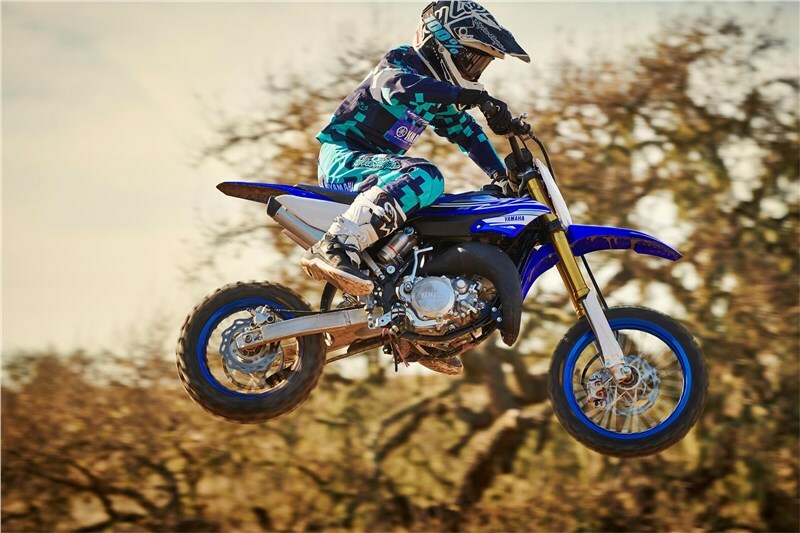 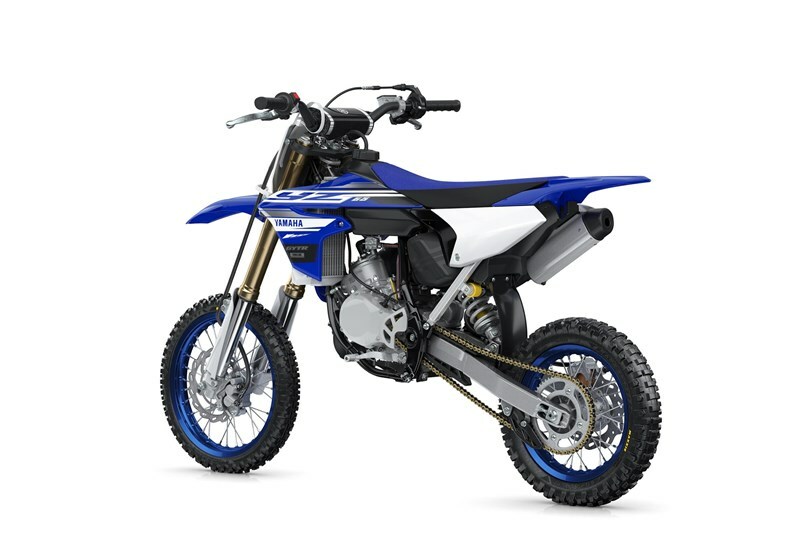 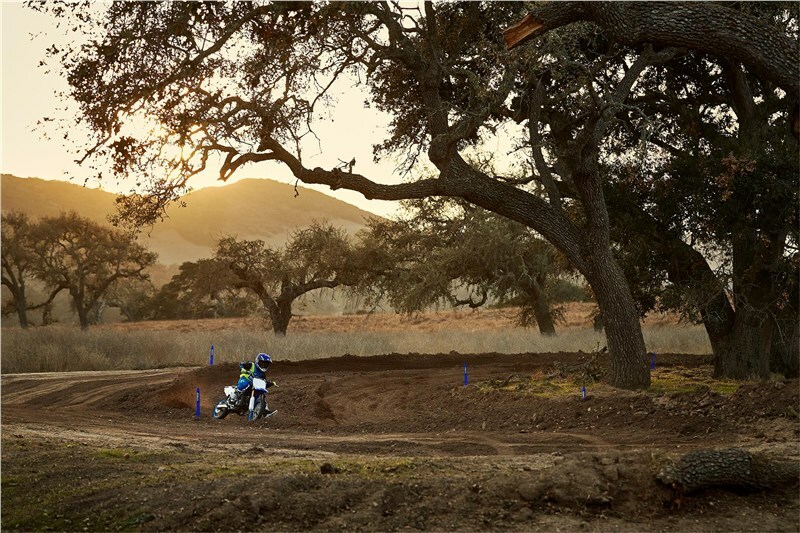 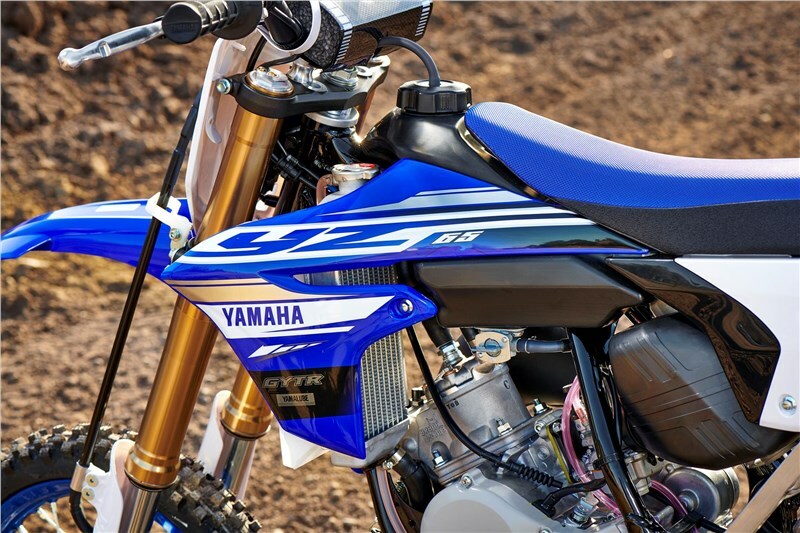 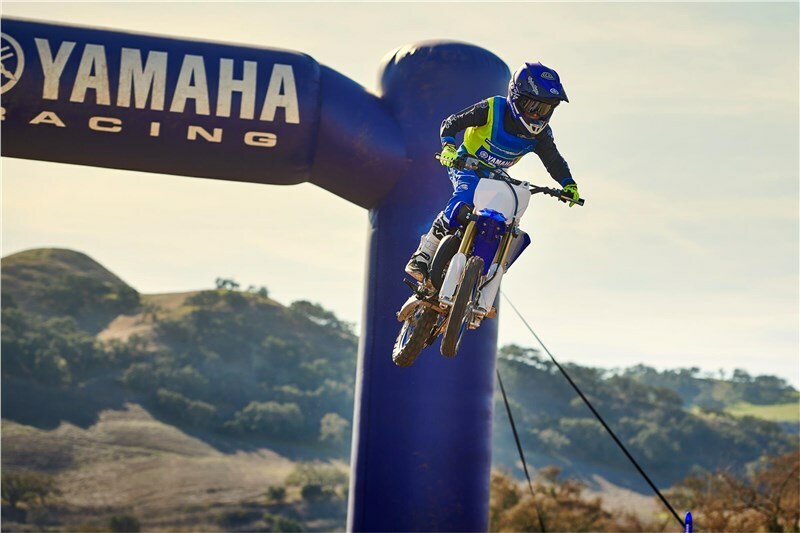 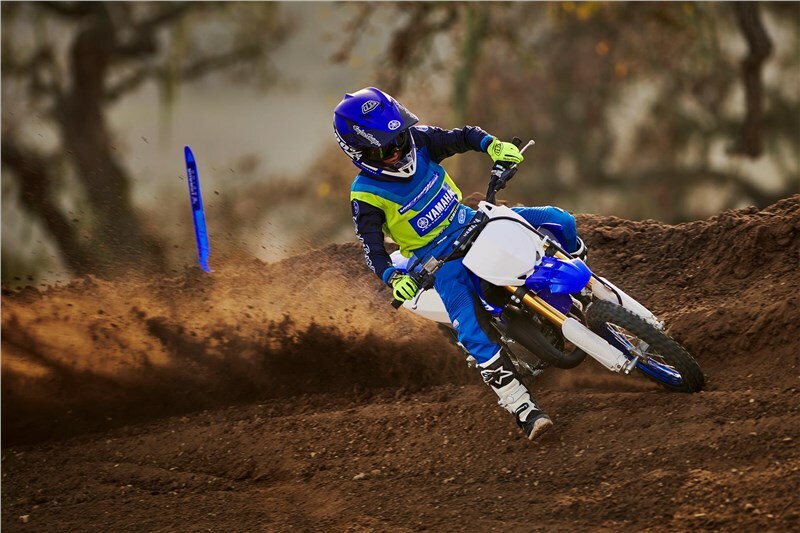 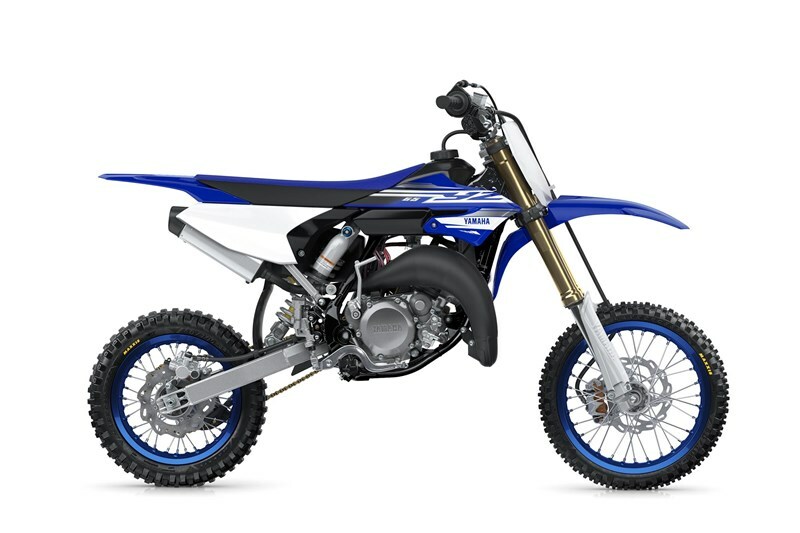 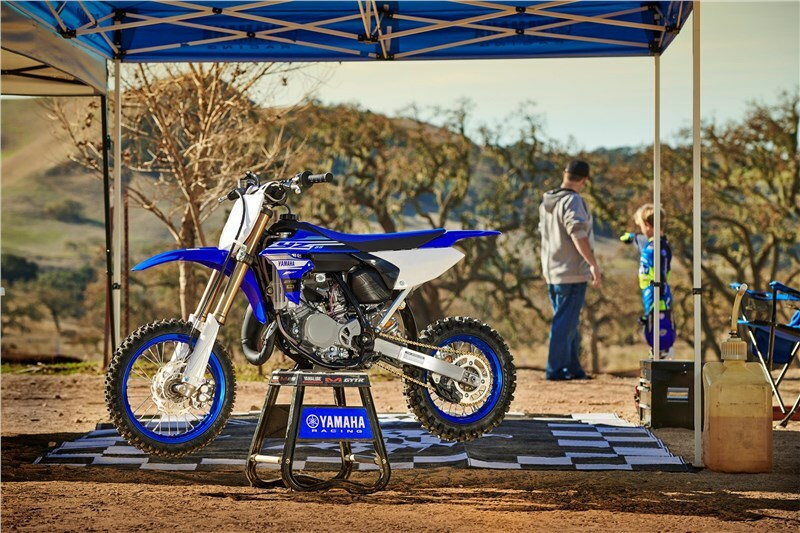 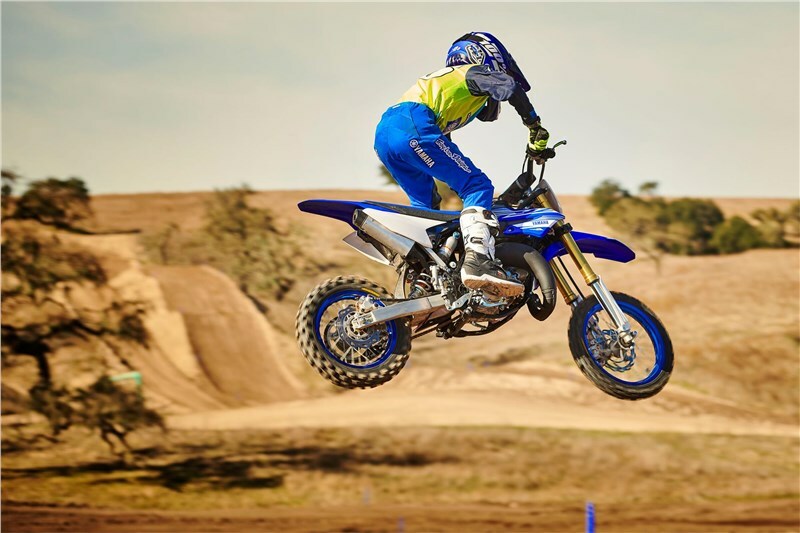 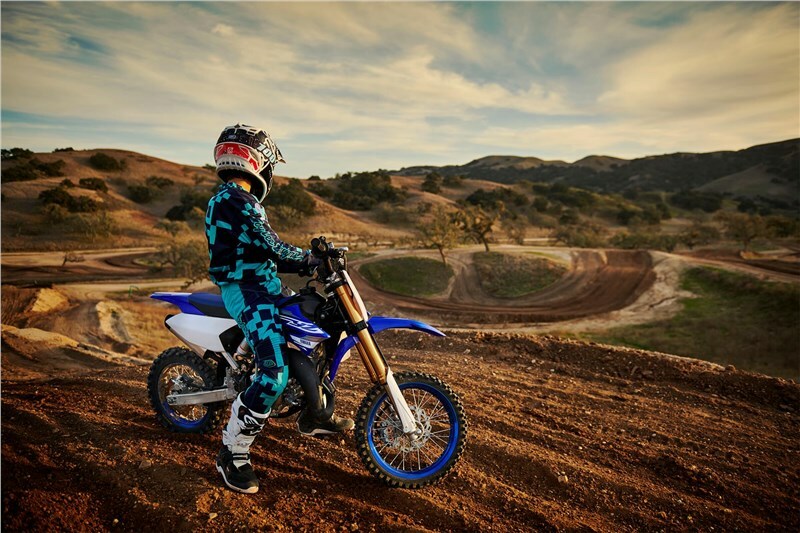 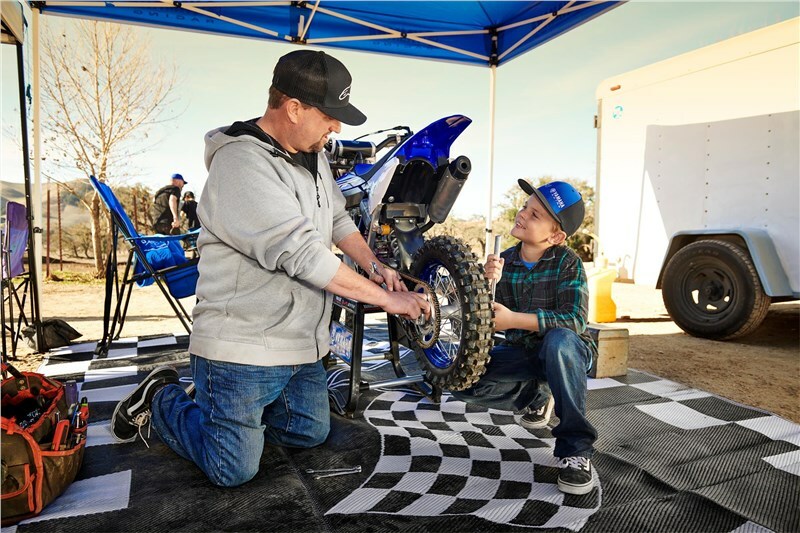 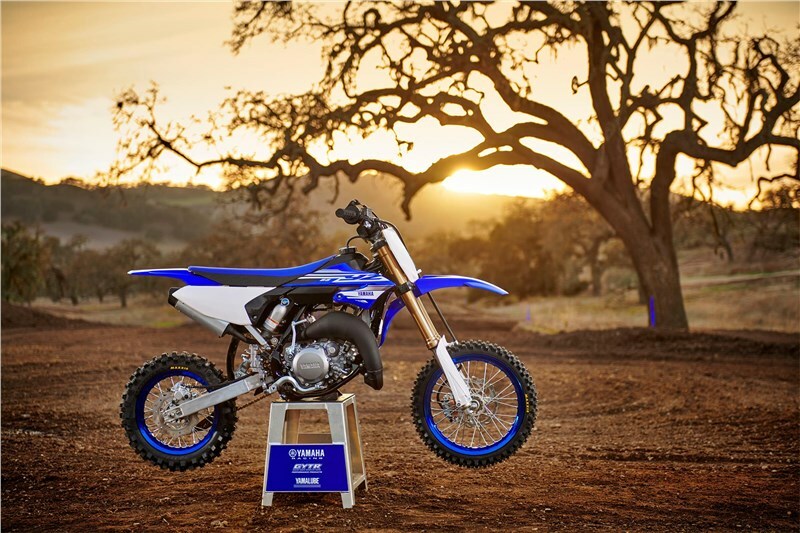 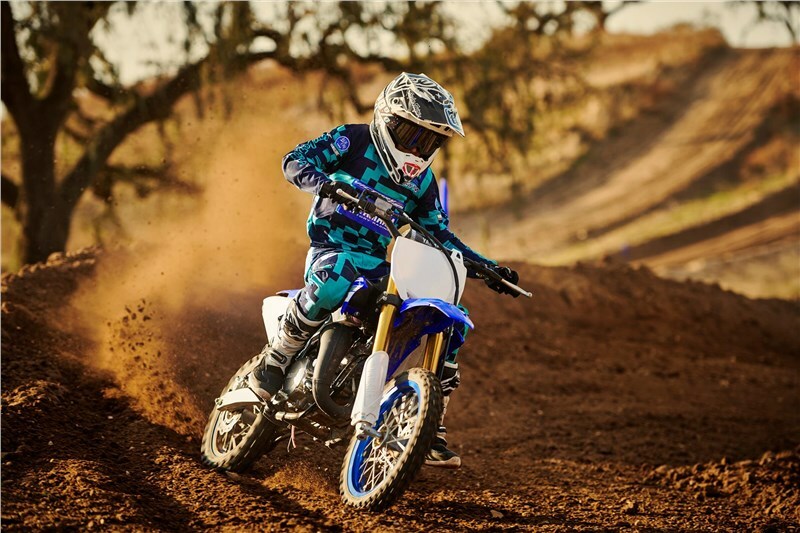 The 65cc two-stroke powerplant is all new for the 2018 YZ65, and features the same advanced technologies found in Yamaha's race-winning YZ125 and YZ250 motocrossers. 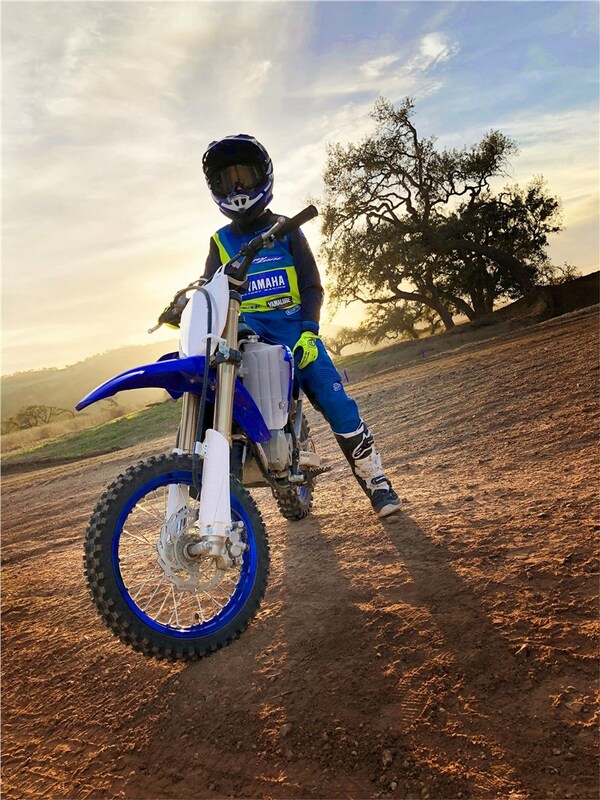 Proven reed-valve induction improves acceleration and throttle response across the entire powerband, with a carefully tuned Keihin® PWK28 carburetor to meter fuel flow. 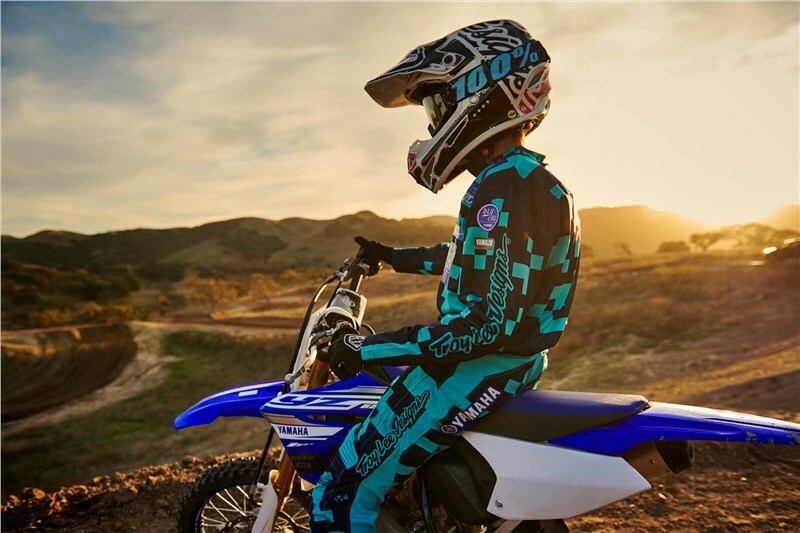 Six-speed, close-ratio transmission optimizes gear ratios for maximum performance, giving riders the right gear for every race condition. 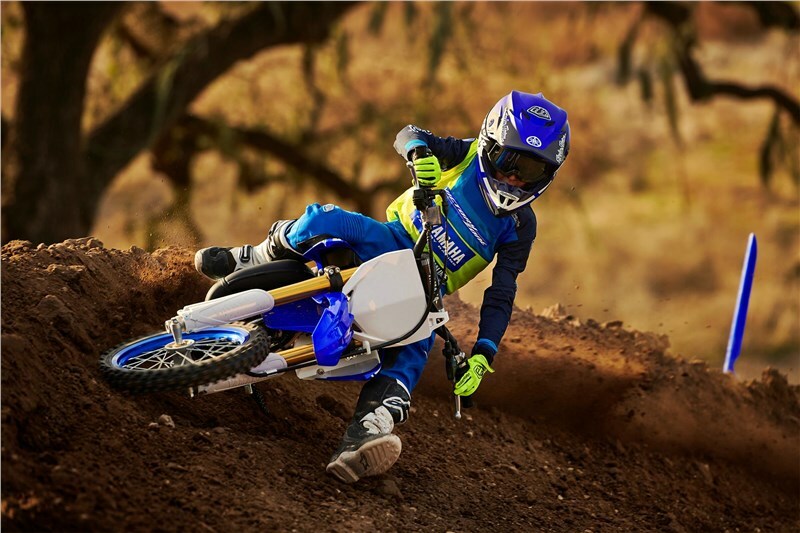 Digital CDI system delivers precise spark and monitors engine speed to ensure optimal timing for excellent response. 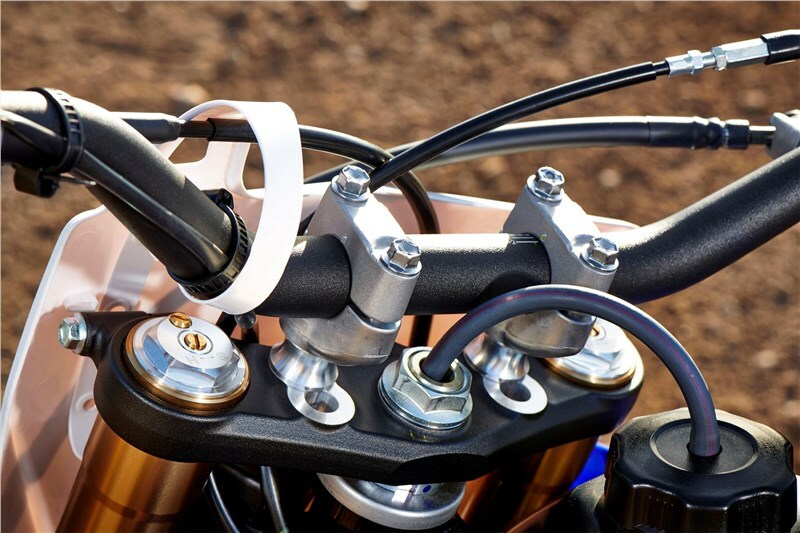 Compact radiator features optimized hose routing to deliver maximum cooling efficiency even in the toughest racing conditions. 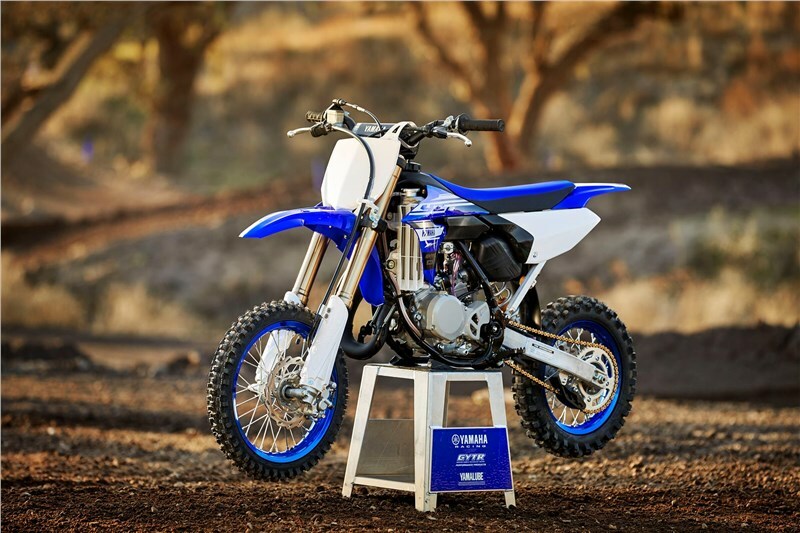 Removable aluminum rear subframe is constructed of square-section tubing for reduced weight and convenient maintenance, just like on the full-size motocross bikes. 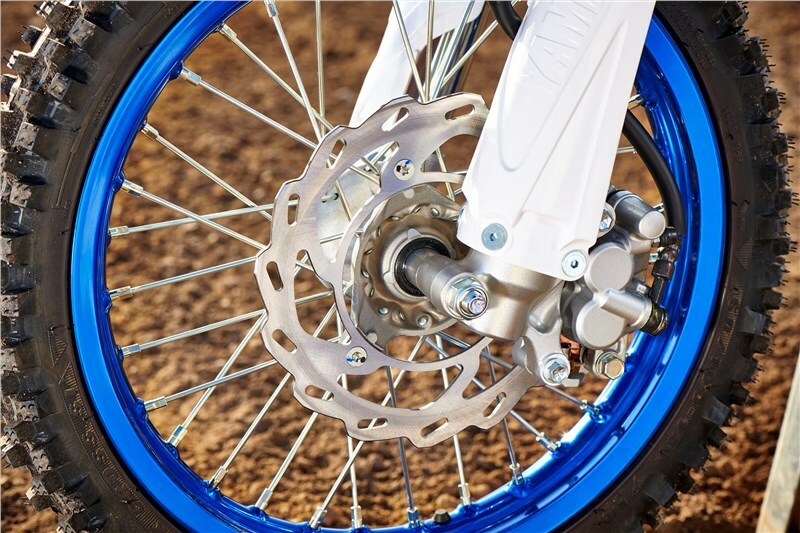 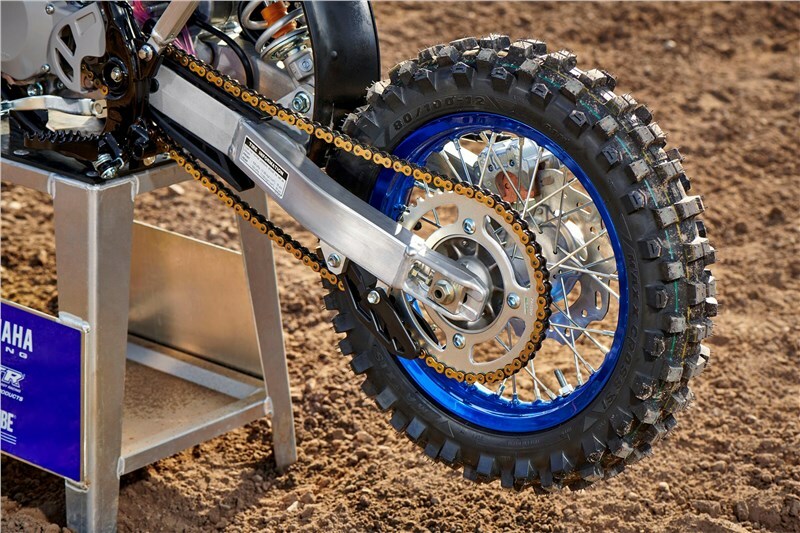 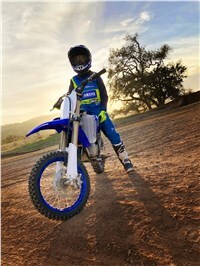 Wave-style brake rotors are lighter than conventional rotors and have that full size YZ family style. 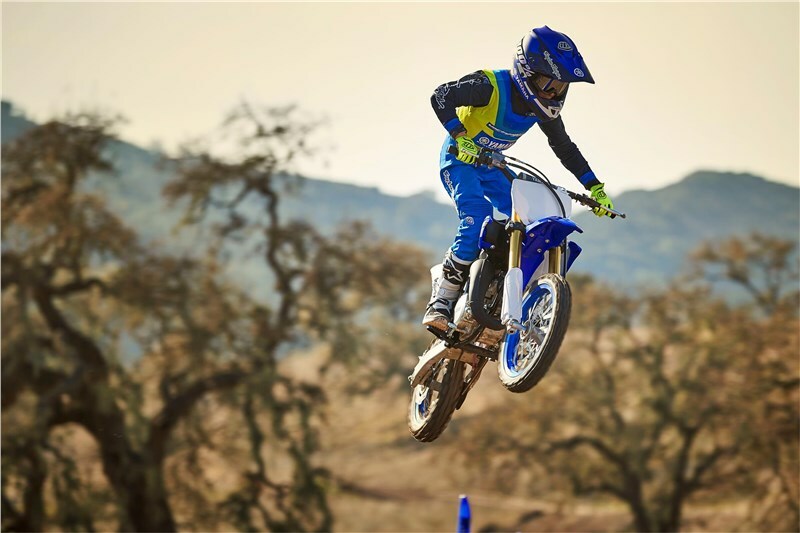 Maxxcross SI® tires offer good grip across of a variety of track conditions, utilizing 60/100-14 front and 80/100-12 rear tire sizes.